10.) There are many instances wherein European monarchs we studied interacted with the Chinese. For instance, Louis XV, Louis XVI, and James II all took interest in Chinese culture. Peter the Great of Russia actually met with the Kangxi Emperor, such that they could sign the treaty that ended the Russian-Manchu Border Conflicts. The treaty was written and negotiated using Jesuit missionaries as translators. Upon meeting Michael Shen Fu-Tsung, King James II was so delighted that he commissioned this portrait. 9.) The Convention of Peking, after the second opium war, authorized British traders to bring over indentured Chinese people as slaves to America. This Convention was agreed to by the Chinese Emperor. 8.) There are some pretty funny European explanations for the Chinese civilization when it was first discovered, such as the assertion that the Chinese were descended from the sons of Ham, that Confucius was Hermes Trismegistus/Moses and that the Chinese characters were abstracted hieroglyphs. 7.) The Boxer Rebellion that saw the fall of the Qing dynasty was so named because the rebels were masters at martial arts, and often felt that they did not need weapons. Rather, they thought that after considerable meditation, they could walk on water, set fire to Christian houses, and develop a shield that would render them impervious to bullets. Suffice to say, the rebellion was crushed by European forces with relative ease. 6.) The Qing dynasty often felt that they were superior to all other nations, and that everyone coveted their culture and resources – it often referred to Europeans as “barbarians.” Conversely, Europe’s monarchs felt that THEY were superior, which resulted in some pretty comical discussions. Many European scholars and painters, however, idealized/romanticized Chinese society. The Chinese Garden, a chinoiserie painting by François Boucher. Click on the picture to be directed to the Chinese Influence on Western Art Gallery, to learn more about this piece. 4.) The primary method of interaction between China and Europe was through Jesuit missionaries, who served a decidedly irreligious purpose, particularly after the banning of Christian missions in 1729. Instead, they were translators, diplomats, scientific advisors, artisans, etc. Emperors such as Qianlong and Kangxi quite liked the Jesuits. 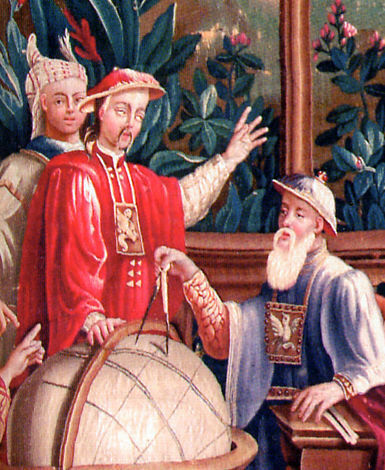 Emperor Kangxi with a Jesuit astronomer, Adam Schall. “Tapisserie de Beauvais”, 1690–1705. 3.) The Qing Dynasty, though ruling over China, was not Han Chinese in origin. Rather, it originated from a collection of tribes in Northern China (Manchuria), called the Jurchen, whom rose to prominence after unifying and attacking Ming settlements and subsequently growing. Though the Qing Dynasty frequently appropriated the styles or techniques of other cultures (in particular, those of Han Chinese and Western origins), the preservation of a distinctly Manchurian culture was at the focal point of many of its artistic endeavors. A Jurchen man hunting from his horse, from a 15th-century (Ming Dynasty) ink and color painting on silk. 2.) During the reign of the Kangxi Emperor (in 1729), China banned all Christian missionary efforts – this was not as a result of distaste for Christian teachings, in fact, the Kangxi Emperor often had many Jesuit missionaries in his court, and even befriended some of them. He took a particularly potent interest in Western science, and the Jesuits were an avenue by which China may acquire it. The conflict arose because of the Chinese Rites Controversy, in which the Pope said Chinese converts were not allowed to practice their burial rites, as it was idolatry. (The Kangxi Emperor still allowed missionaries, for diplomatic, scientific, or artistic purposes, but they could not spread Christianity.) This persecution eventually got much harsher, and the execution/torture of a French missionary is one of the reasons France joined England in the Second Opium Wars. Matteo Ricci (left) and Xu Guangqi (Chinese: 徐光啟) (right) in the Chinese edition of Euclid’s Elements (Chinese: 幾何原本) published in 1670. 1.) 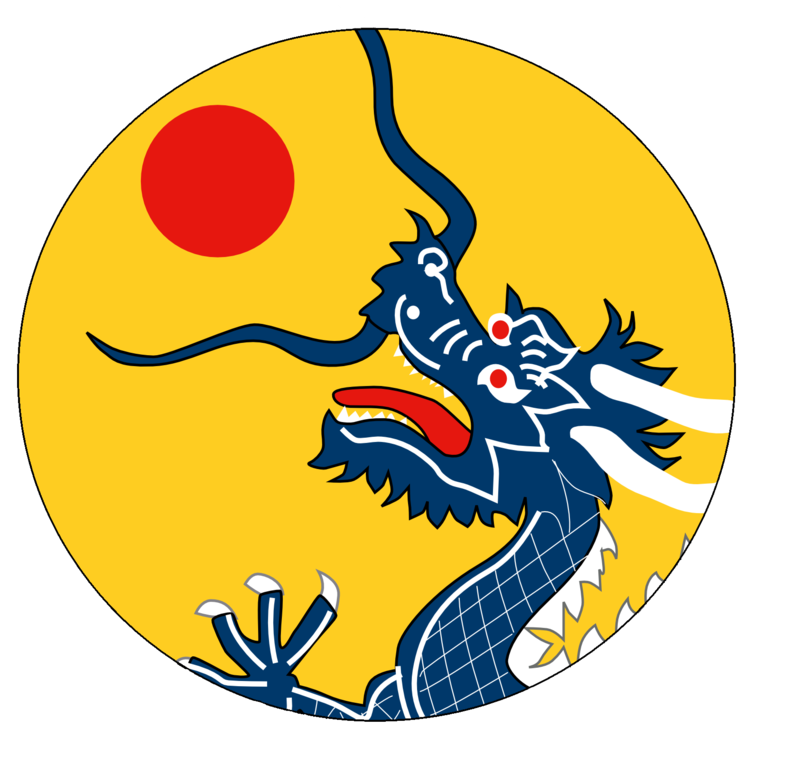 During the mid-19th century, China engaged in war with Britain, called the Opium Wars – this was a consequence both of China’s ethnocentrism and arrogance, and British imperialism and greed. The wars were arguably the most catastrophic event in the Qing Dynasty, and a direct cause for its subsequent downfall. They started because China did not wish to accept Britain’s opium trade, and prevented its merchants from accepting it/European merchants from selling it. In response, Europe declared war on China. Formally, it was so they could begin trading opium again, and in the interest of a “free-market” system. Realistically, however, the British population demanded many resources that the Chinese possessed, and since China wanted nothing but silver, of which Europe was running out, it NEEDED to trade opium. Moreover, there were significant restrictions on trade by the Chinese, and Britain was displeased by this. The wars caused These are also probably the most significant events in Sino-European history. By the end, China had to open up 5 new ports, give Hong Kong island to Britain, all official chinese documents had to be written in english, british warships had unlimited access to all Chinese rivers, and more. Naturally, this caused civil unrest and rebellion, which would lead to the fall of the Qing dynasty. A political cartoon depicting the Opium Wars.